A fish tank can also serve as an important divider at the office. 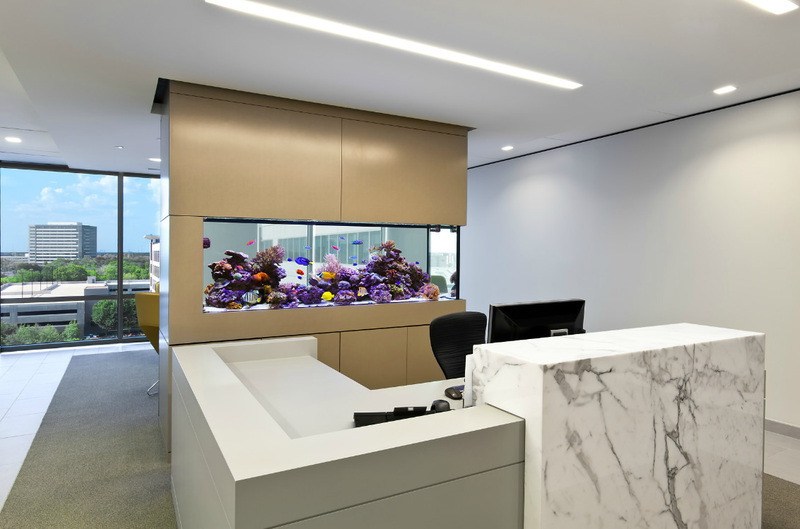 In the room below, a gorgeous modern aquarium separates a desk area from a sitting area, all the while preserving the view outside. Image by Aquarium Design Group.